Five new ports in Malaysia and China are now part of the China-Malaysia Port Alliance (CMPA), said Transport Minister, Datuk Seri Liow Tiong Lai (pix). More Hepatitis C patients will soon be able to afford treatment, thanks to the decision by a US pharmaceutical company to expand its generic licensing agreement to Malaysia. Malaysian Association of Hotels (MAH) president Sam Cheah Swee Hee said hotel operators started the collection of tourism tax last Friday. Valued at US$2.1 trillion, it’s easy to understand why many see the global halal market as one of the industries of the future, and why Selangor is going all out to make the state a hub for the global halal trade. Datuk Seri Mohamad Fuzi Harun was appointed Malaysia’s new police chief effective on Monday (Sept 4), replacing retiring Inspector-General of Police (IGP) Tan Sri Khalid Abu Bakar. Civil society groups have voiced hope that newly-minted Inspector-General of Police Mohamad Fuzi Harun will raise the force’s standards. The government has been taking various measures to overcome air pollution by motor vehicles, particularly in urban areas over the past few years. Tomorrow’s digital interface may be even more revolutionary than the pinching, tapping and scrolling heralded by the smartphone: voice commands promise to unify and tame our digital lives. The push to adopt the use electric cars state-wide continues with Sarawak’s first BMW i Wallbox charging stations at Cityone Megamall, Kuching. The the world’s population is aging at unprecedented rates, and the number of people over 60 years of age will increase by 56%, from 900 million in 2015 to over 1.4 billion by 2030, according to business information and analytics firm GlobalData. Connected cars and insurance-focused data analytics company Pixelated Sdn Bhd (known as Katsana) said it has managed to reduce risky driving behaviour by 62% within 12 months and has a 96% track record in recovering stolen vehicles. 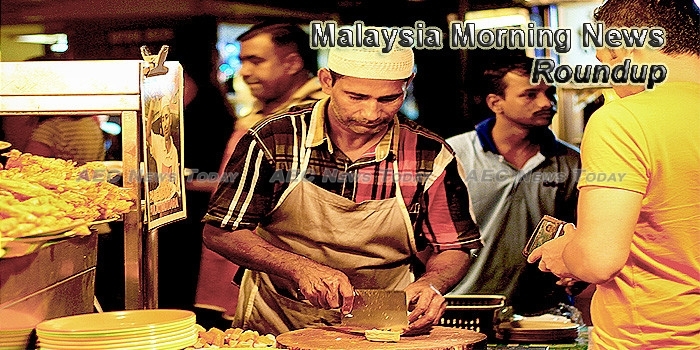 The Malaysian manufacturing sector showed signs of recovery in August against the backdrop of rising exports. Unexpected losses from their portion of the refinery and petrochemical integrated development (RAPID) project – in terms of cost overruns and lower-than-expected construction margins from other jobs – has put a drag on the earnings of Mitrajaya Holdings Bhd (Mitrajaya). Companies heading for a listing on the Leading Entrepreneur Accelerator Platform (LEAP) market, launched by Prime Minister Datuk Seri Najib Abdul Razak more than a month ago, may have a tough time squeezing itself into the portfolios of some of Malaysia’s biggest funds. Value-added services, such as 3D printing, are a way for Malaysian manufacturers to stand out from the competition according to a 2017 UPS Industrial Buying Dynamics survey. The FBM KLCI is expected to commence trading in September, historically a tricky month for Malaysian equities, on a cautious note in line with global markets, as the spectre of a geopolitical conflict in the Korean peninsula weighed down global investor sentiment. Cementmaker Lafarge Malaysia Bhd (Lafarge Malaysia) experienced a core net loss of RM102 million for the first six months of 2017 (1H17) which was broadly in-line with analysts’ expectation but was substantially off consensus estimate of RM67 million. CIMB IB Research has maintained its “Reduce” rating Felda Global Ventures Holdings Bhd (FGV) at RM1.55 with a higher target price of RM1.47 (from RM1.45) and said FGV’s 2Q17 results were below house and Bloomberg consensus expectations. A Cambodian woman who allegedly deceived unsuspecting local women into being trafficked to Malaysia where they were forced to work as maids under harsh conditions has been arrested by the country’s police. With Malaysia’s hopes to bag at least 103 gold medals at the upcoming Asean Para Games, all eyes will be on athletics, swimming, tenpin bowling and cycling. Head coach Nelo Vingada wants Malaysia to change their “negative wave of results” when they host Hong Kong in a 2019 AFC Asian Cup qualifying match at Hang Jebat Stadium on Tuesday night.